Some garden plants are very happy to oblige my lack of garden design expertise, taking it upon themselves to fill in spaces I never would have considered using as flower beds. The results are usually pleasing. 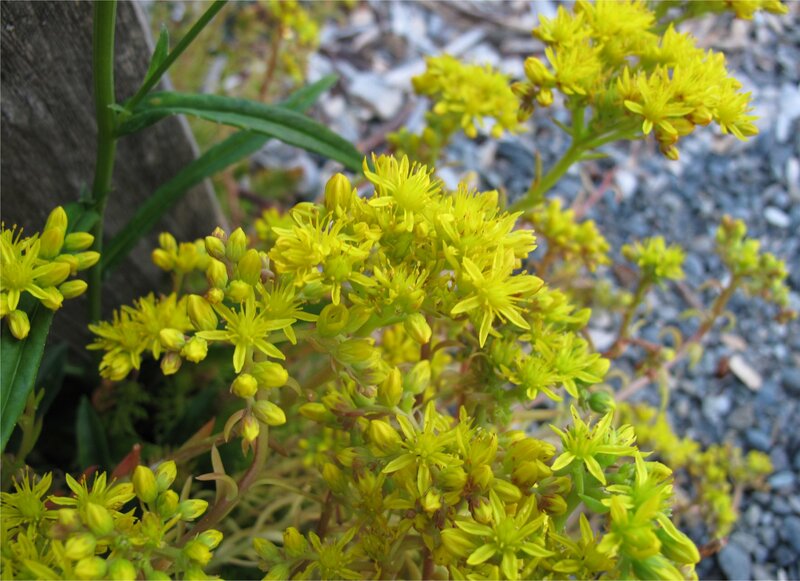 The tiny yellow blooms on elongating succulent stalks are probably Sedum rupestre, which is also known as Sedum reflexum. This sedum is native to northern, central, and southwestern Europe and naturalizes easily in lean soils lacking much organic matter (think gravelly driveways). Completing the arrangement are Bishop’s Weed (the variegated green-leaved plant directly against the fence), a white blooming sedum, and Linaria purpurea (Purple Toadflax), which is past its prime and has mostly gone to seed. Earlier this summer Welsh poppies added to the mix. 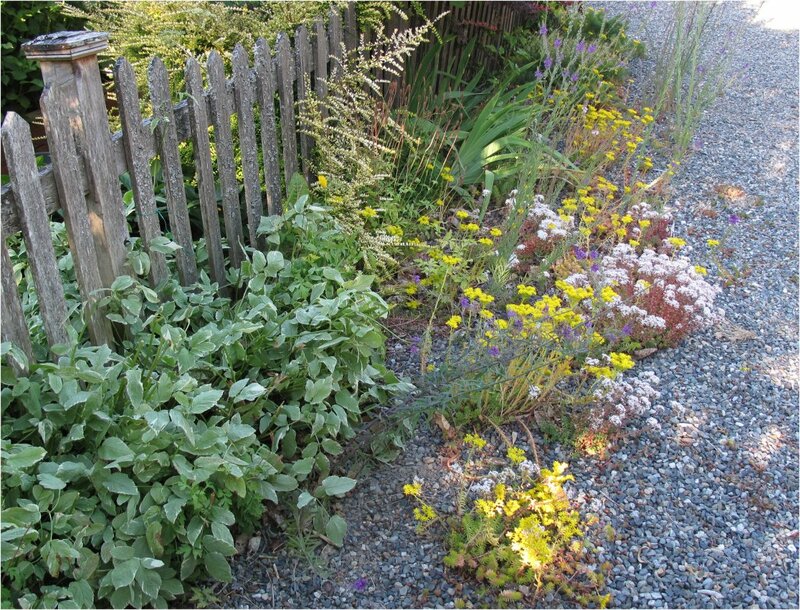 All these plants colonized part of the gravel driveway in front of the aging cedar picket fence. Just a few weeks ago the Linaria purpurea, Sedum rupestre and Welsh poppies (Meconopsis cambrica) were blooming profusely in concert. I was preoccupied with other tasks and missed getting a picture, but I thoroughly enjoyed the view whenever I walked from the driveway to the front door. Of the four plants, my only regret is the Bishop’s Weed, which is far to aggressive for my tastes. The Welsh poppies in the driveway have mostly gone to seed, but new seedlings still appear sporadically in other parts of the garden. My neighbor, impressed with last month’s plethora of yellow-golden blooms requested seeds for her yard, so I let the driveway Welsh poppies go entirely to seed. Normally, whenever I walk by the blooming poppies I deadhead the newly formed seedheads to encourage more bloom, but this time I just let them ripen on the plant. 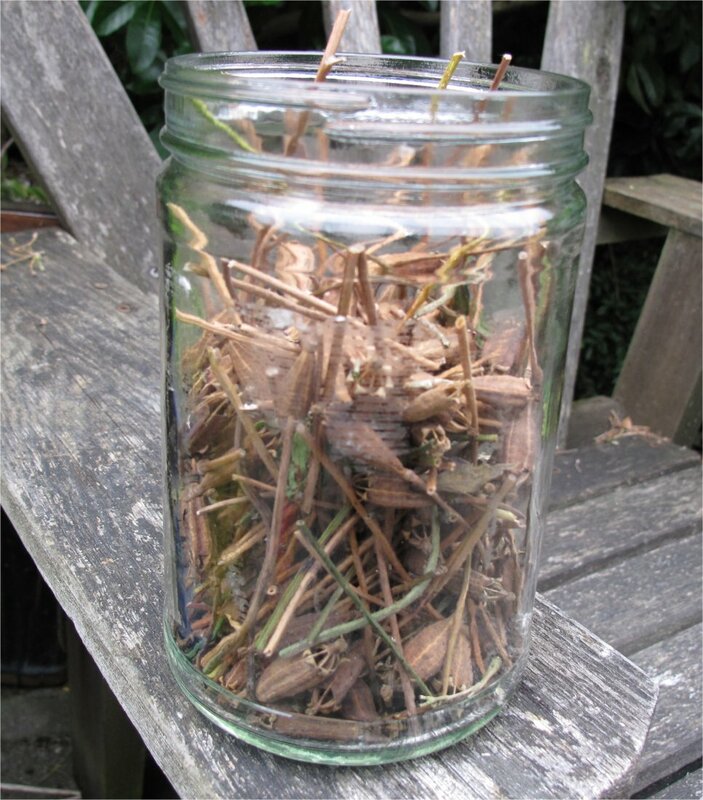 It was easy to cut off the stems and seed heads and collect them in a glass jar for scattering around her garden next March. The Welsh poppy is happy almost anywhere, and spreads freely in many gardens. 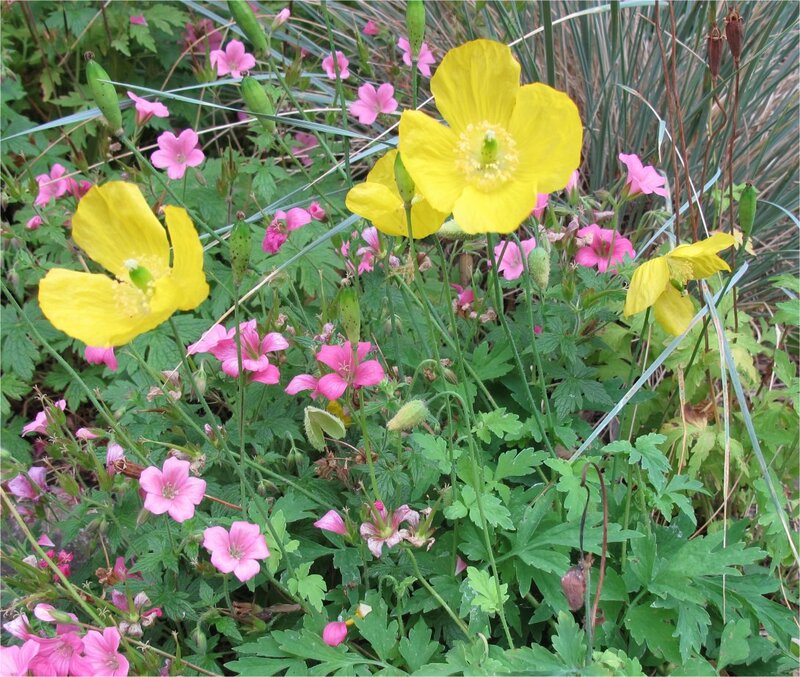 Plants are short and bushy, with elegant graceful foliage and lots of large, flimsy golden poppy flowers produced in succession from late spring to early autumn. Plants are not very long-lived but usually self-seed freely. Like all poppies, they dislike root disturbance, so plant pot-grown specimens and allow their seedlings to come up wherever they germinate naturally. These seedlings are then much more resilient than the pot-grown plants. 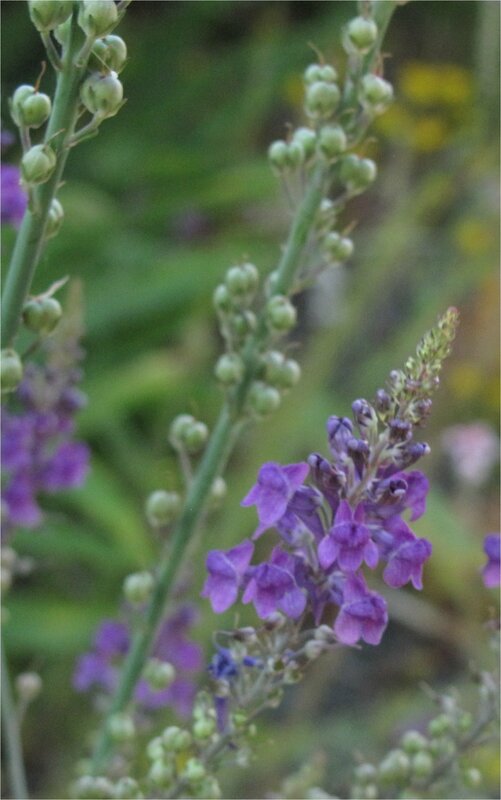 This entry was posted in Plant Picks, Techniques and tagged Linaria purpurea, Meconopsis cambrica, Purple Toadflax, Sedum relexum, Sedum rupestre, Welsh poppy by Bart Arenson. Bookmark the permalink.